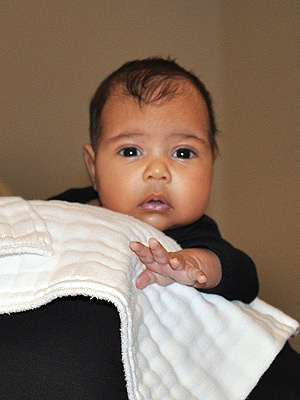 First photo of North West! So, how do you score the exclusive first media photo baby North West, the babe of Kim Kardashian and Kanye West? You pull the grandma card. On her new talk Fox show, Kris, Kardashian’s mom, Kris Jenner, showed the audience a photo of her 2-month-old granddaughter today –- which was appropriate since Daddy was the guest. And guess what: She looks like him! 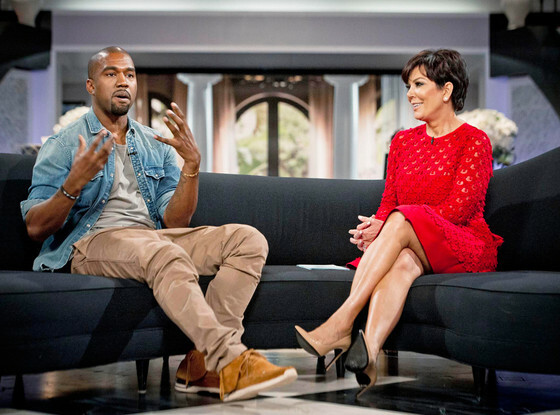 "The last thing I would want to happen to my daughter is some crazy drunk black guy in a leather shirt to come up and cut her off at an awards show,” he tells Jenner during the interview. "That&apos;s the last thing I&apos;d want. … I was just like a crazy rock star!" West added that he won’t let the paparazzi or public scrutiny keep him away from his love, Kim. "I could have people saying, you know &apos;This is going to damage your credibility as an artist or as a designer,&apos;” he tells Jenner. “And I say, you know, I don&apos;t care, I love this woman."